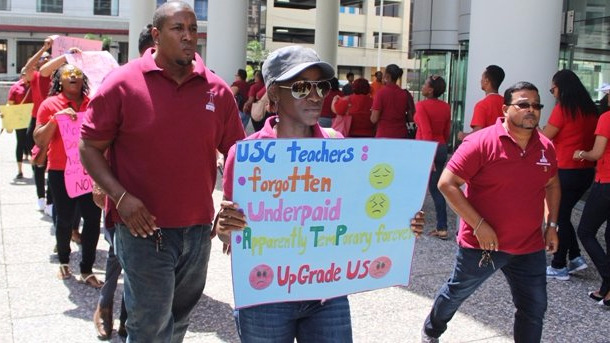 Members of the Trinidad and Tobago Unified Teachers’ Association (TTUTA) held a demonstration on Friday at the Education Ministry’s headquarters, demanding upgrades and salary increases for some 400 teachers who graduated from the University of the Southern Caribbean (USC). Speaking to LoopTT, TTUTA president Lynsley Doodhai says the association has resorted to this demonstration because after numerous meeting requests the Ministry has not been able to address the matter. 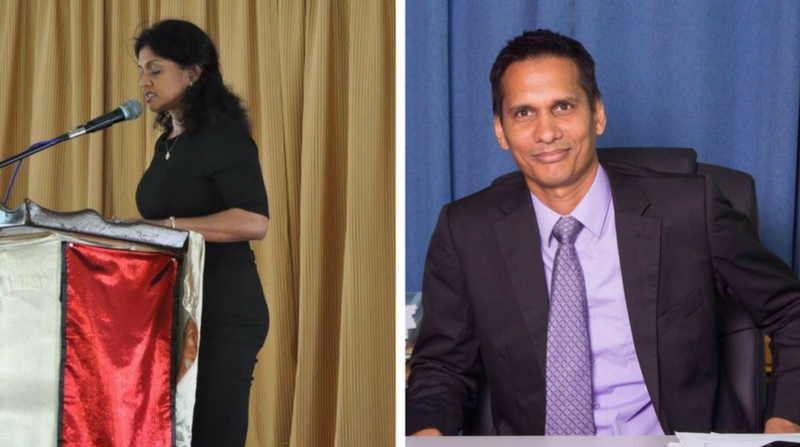 Doodhai said a number of teachers who recently graduated from the University of the Southern Caribbean (USC) with teaching degrees have been employed as assistant teachers when they should have been upgraded to Teacher 1 status. He said letters have been sent regarding the teachers, requesting that their positions be upgraded but the Ministry has not been responsive. Doodhai says it is only fair that these teacher be paid according to the level of work they are doing. He said these teachers are unable to secure loans or negotiate with mortgage companies because of their low wages and precarious status. 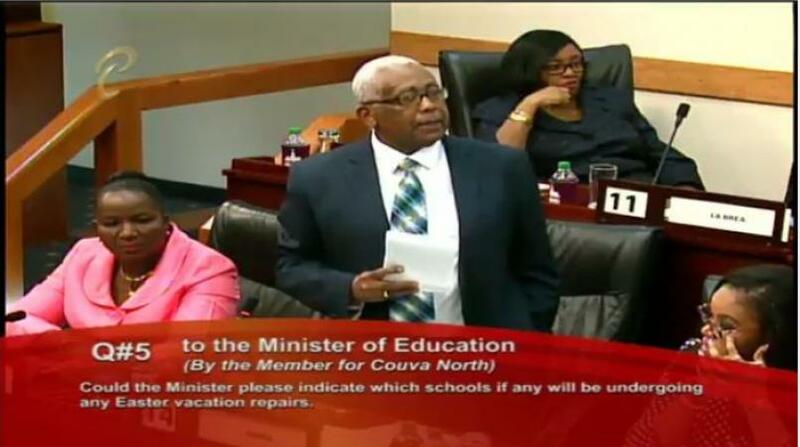 He also urged Education Minister Anthony Garcia to heed TTUTA’s adding that during his time as TTUTA head, Garcia should understand the importance of a timely response. Doodhai says TTUTA is looking forward to meeting with the Ministry to sort these matters out as soon as possible.